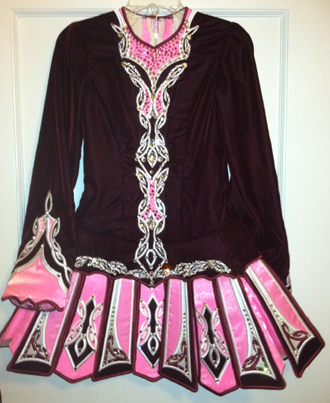 This championship Elevation dress is burgundy with pink and white embroidery with a tennis skirt. It is two years old looks stunning on stage. There is let down room! Asking $US1,200 shipping from Pittsburgh, PA included within USA, overseas shipping extra. Will accept return and refund dress price, buyer to pay all shipping costs. Please email with any questions.